Human rights abuses are being perpetrated against environmental and community campaigners around the world. The full extent and severity of this situation has recently become clearer thanks to the committed work of groups like Global Witness, and by the UN Special Rapporteur on the situation of human rights defenders. Friends of the Earth advocates for justice for those affected and works to raise awareness with the kind support of the European Union. 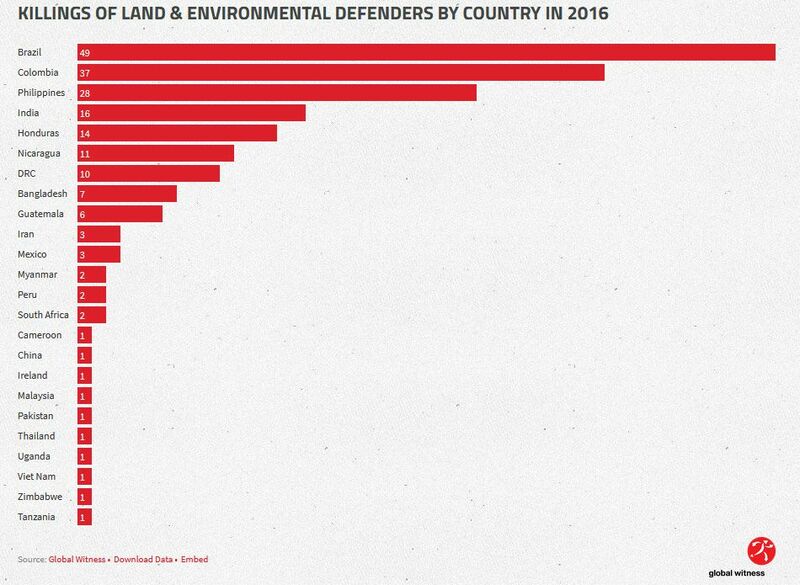 Murder is just one of a range of tactics used to silence land and environmental defenders, including death threats, arrests, sexual assault and aggressive legal attacks. According to Global Witness, killings of defenders are not only growing, they’re spreading too. In 2016 they documented 200 killings across 24 countries, compared to 185 across 16 in 2015. Almost 40% of those murdered were indigenous. A lack of prosecutions also makes it hard to identify those responsible, but Global Witness found strong evidence that the police and military were behind at least 43 killings, with private actors such as security guards and hitmen linked to 52 deaths. See the Defenders of the Earth report for more information. Join us to learn more the global solidarity work to help protect environmental activists around the world. Videos from Global Witness and solidarity actions and letter writing. 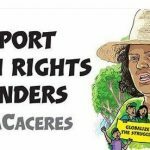 For more details of Friends of the International’s work on environmental and human rights see Human Rights Defenders and the Cartagena declaration on human and environmental rights.